An unforgettable journey into the Underworld. Explore the underground of New Zealand in more ways than one! 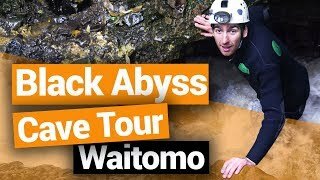 The activities available in the Waitomo Caves of the North Island takes adventure to a whole new level, as you can abseil, go tubing over rapids, do obstacle courses, and more in this underground playground. It’s not just about seeing the rock features that so few get to see more than 100 metres underground, but the Waitomo Caves also have resident glowworms in the masses! The decorative maggots are easy to visit, even if you are not keen on a caving adventure. Make an epic entrance into the caves! 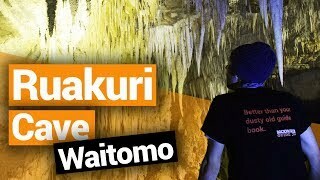 Abseil for over 100 metres with Waitomo Adventures into the gigantic cave network. After the long descent, you will be able to explore multiple caves and rooms while making your way back to the surface. Abseiling is available with The Legendary Black Water Rafting Co’s Black Abyss Tour and Waitomo Adventures’ Lost World Tour. If flying under a stalactite ceiling has ever been one of your dreams, the underground flying fox should be your method of choice! Ziplining is available with The Legendary Black Water Rafting Co’s Black Abyss and Black Odyssey and Waitomo Adventure’s Lost World Tour. Probably the most epic way to make your way through the cave network is to put on a wetsuit, grab a tube, and let the streams show you the way! Ok, so it’s not quite like that with a trained guide, but it’s easy enough to let your imagination run free. A tubing tour of the caves usually includes walking, climbing, jumping and swimming. It’s often described as one of the most unique adventure activities in New Zealand. Tubing is available with The Legendary Black Water Rafting Co, Waitomo Adventures and Cave World Waitomo. Almost all of the options above include a bit of climbing but you can take on more of a challenge with both dry and wet climbing tours in the cave. With a guide, you will explore the caves both horizontally and vertically to uncover all their secrets and unique forms of life. Available with The Legendary Black Water Rafting Co and Waitomo Adventures. For those whose heart is not ready for such craziness, a nice gentle boat ride under the magnificent glowing ceiling is a one-of-a-kind phenomenon to witness during your trip in New Zealand. This experience gives you the largest density of glowworms to view. 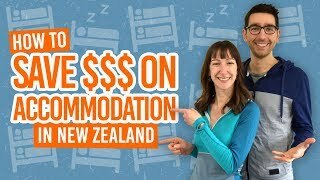 Available with the Waitomo Glowworm Caves and Spellbound. If even a boat is too much, the Waitomo area has many other well-lit dry caves to explore by foot. With or without a guide, it is up to you to choose how you want to explore the surroundings. 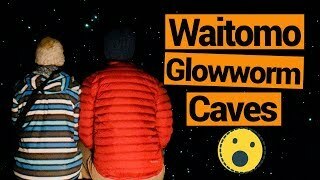 And if you want to save a little money, consider doing one of the free glowworm walks in Waitomo. 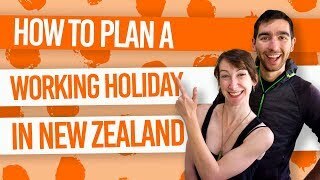 Available with Discover Waitomo, Glowing Adventures and Cave World Waitomo.